The majority of these early diving ducks are in eclipse phase plumage and lack their easily identifiable white bodies and contrasting head colors. Waterfowler.com reminds our readers to take extra caution in areas where canvasback are present and positively identify birds before shooting. Harvest mishaps are preventable if you take the time to identify your target. The 2014-2015 general waterfowl season is off to a great start and, as members noted on the hunting reports, weather patterns are unfolding in a similar pattern to the 2012 season – where a steady influx of cold fronts kept birds moving in a steady trickle. For the northern waterfowl hunter who relies on migrating waterfowl, there are two scenarios; birds trickle down on pressure fronts and calendar movements, or they sit tight in the warmth until a November clipper moves them en masse. With any luck, the former pattern will continue to unfold in the months ahead. Waterfowler.com is pleased to announce our Migration Madness Giveaway will begin on November 1st and each week we will be giving away random prizes to participants of our hunting reports pages. To be automatically entered into the drawing, you only need to post a hunting or scouting report during the month of November to qualify. The more you report, the better your odds at winning – so be sure to post early and post often. Prizes will be provided by WFC sponsors, including Mallard Motel, Spectra Shot, Blackwing Advancements and many more. We look forward to celebrating our 16th season of national migration coverage with our readers. 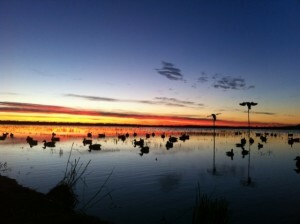 Waterfowl activity and numbers increased Montana over the past week with teal good and mallards fair into Wyoming. Hunting in Utah was fair to good in the northern part of the state for early migrating species. In Washington, duck numbers average for this time of years in wet areas of the state and, not surprisingly, lower in dry areas. Warm temperatures and drought continue to negatively impact waterfowl numbers in drought stricken areas of California, Nevada and Arizona. 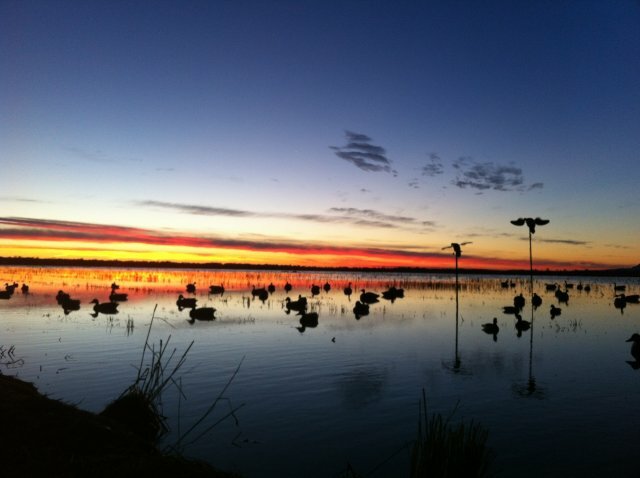 The recent cold front sparked a flurry of migration activity in the North Dakota, with diving ducks and geese marking the most significant increases. In South Dakota, teal numbers have been on the decline as the push through on favorable winds, during a good moon. Hunting in Colorado is fair to good at this time with most species present but none in significant numbers. Teal continue to push through the lower part of the flyway, along with the first flights of white-fronted geese – that should arrive in Texas over the next week. Diver numbers are expected to increase this week in eastern Lake Erie as migrating birds continue to traverse the Great Lakes. Wood duck numbers are good to excellent throughout the New England states, with mallards and black ducks fair. Canada goose activity has increased in the northern portion of the flyway with local birds settling into predictable feeding schedules. Teal numbers continue to increase from the Carolinas into Florida, with all other species average for this time of year.